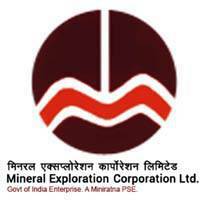 Mineral Exploration Corporation Limited (MECL) Published Recruitment Notification for Executive Trainee (Geology) and Executive Trainee (Geophysics) Posts. Qualification : M.Sc. / M.Tech. / M.Sc. Tech. (Geology / Applied Geology) / M.Tech. (Geological Technology) with 60% marks or Equivalent. Qualification : M.Sc. / M.Tech. / M.Sc. Tech. (Geophysics / Applied Geophysics) / M.Tech. (Geophysical Technology) with 60% marks or Equivalent.